As government and nongovernmental agencies transition into the recovery phase, there’s growing skepticism that they will prioritize black and brown folks dealing with the compounded devastation from generations of dire economic straits—and, now, climate-change-instigated “1,000-year” floods. Still, the raw emotional reaction for most Americans is to get online and dump donations into the Red Cross. But historically, Red Cross money doesn’t always find its way to hurting black folks. That comes from experience: When Katrina hit, black residents watched Red Cross dollars flow more easily to white areas than harder-hit black ones. 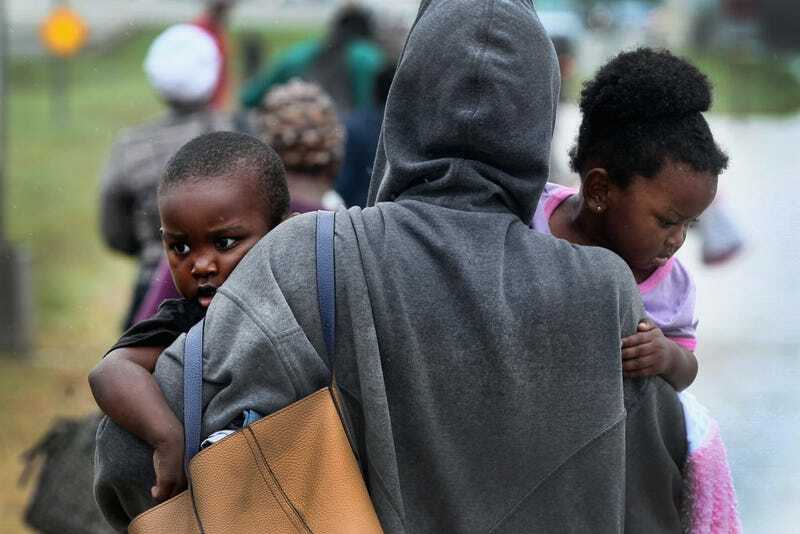 A ProPublica investigation exposed “understaffed” and “mismanaged” Red Cross shelters in majority-black Baton Rouge, La., after historic 2016 floods. Another ProPublica piece found that the Red Cross only built six homes in earthquake-ravaged Haiti after claiming that it provided 130,000 people with housing—yet, again, another place full of black folks receiving inadequate disaster response.